I like to tell this story, so forgive me if you’ve heard it already. When I first met my husband, he was in his mid-thirties; had degrees from Yale and Columbia; and had worked as a reporter and a speechwriter in some amazing positions. He is a truly gifted writer. And his resume sucked. Really. So I’m going to let you in on a secret: No one is good at writing his or her own resume. We’re trained from birth to be bad at this, because every time we brag too much, we’re made fun of. 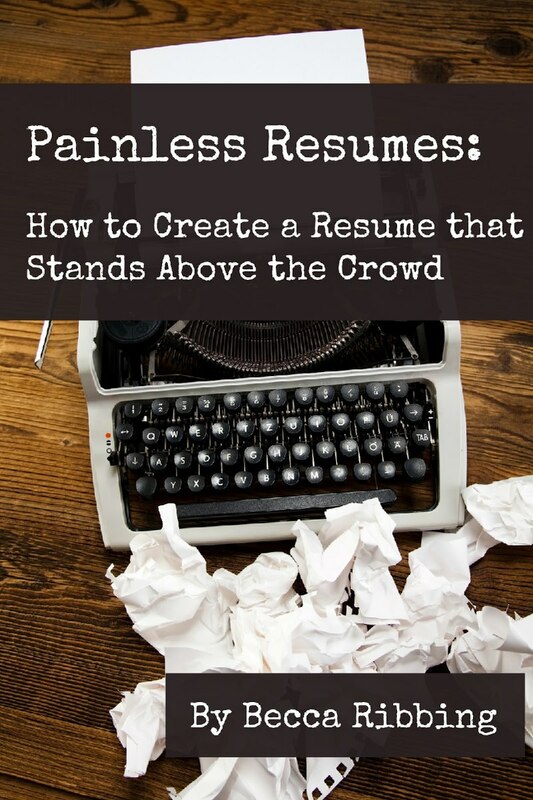 You’re going to have to read Painless Resumes to find out. Fortunately for you, it’s very short and it really helps get you started without too much angst. Plus, it's free.